Victoria has worked across schools in Hertfordshire for over ten years. She has experience in teaching across KS1 and KS2 and as well as this, has a thorough understanding of the assessment procedures for end of Key Stage 1 and Key Stage 2. Victoria has supported colleagues from different schools on topics such as marking and feedback, assessment and phase and subject leadership. She has in-depth knowledge of maths teaching and assessment and been involved in the mentoring of NQTs and support staff. Her role within Maths covers KS1 and KS2, analysing data, raising attainment and standards across school by implementation a range of strategies and resources and imparting best practices to staff. Michelle is currently Deputy Head of Lower KS2 at Fairlands Primary School which is a large, three form entry school with capacity for 720 children, situated in an area of relatively high deprivation in Stevenage.Michelle has taught for over 25 years and held a range of leadership roles in four very differing schools, joining Fairlands Primary School 12 years ago. In her role as Deputy Headteacher she has responsibility for provision and outcomes within her phase. Michelle also has responsibility for professional development, performance appraisal, leadership development, coaching and mentoring, curriculum leadership, intervention strategies and Inclusion Team line management within her phase, alongside leadership of whole school provision for disadvantaged pupils and leadership of the school council.Coaching and mentoring is a particular area of personal interest and expertise both within Michelle’s work in school and beyond. She has led professional development and coached teachers and leaders on a diverse range of issues, including behaviour management, quality of teaching and learning, inclusion and assessment. Michelle has also coached and mentored teachers in their transition to middle and senior leadership roles. She has led training for whole staff and middle leaders on a range of topics including provision for disadvantaged pupils, feedback and marking, learning environments and growing independent learners. Michelle believes that the personal characteristics that enable her to provide constructive partnership work include being able to listen, assess a situation and make decisions. She is able to recognise and praise strengths and successes, as well as empathise, question and challenge. At the heart of Michelle’s leadership is a desire to empower others to be the best they can be. Her specialist areas of expertise are: Leadership of curriculum; initial teacher training and newly qualified teacher development; behaviour and discipline. mentored and coached staff at different stages of their career; encouraging the sharing of best practise, engaging in professional discussions to improve teaching and learning. Ruth’s passion is to strive for high quality teaching and learning in her own and others’ practise, Ruth’s commitment to this principle relates to her belief in high quality inclusive education as an entitlement for all. Since joining the teaching profession, Jan has had the opportunity to work across both the Early Years and Key Stage One, developing her specialisms in English, Phonics and the EYFS; her passion for teaching and learning is rooted in EYFS practice where independent and creative minds are developed. Jan has taught at Round Diamond Primary School for the past five years during which time she has led English across the school, an Early Years team and a Key Stage One team. Before working at Round Diamond, Jan trained with and worked at an Outstanding inner London Primary School where she took a lead on monitoring the quality of the Phonics provision across Key Stage One. Coming from a background in International Business Management, Anna has worked in schools across Bedfordshire and Hertfordshire and is a consistently outstanding practitioner with a passion for delivering a stimulating, meaningful and challenging curriculum. Anna has worked across all key stages and has led and developed teams allowing her to raise standards in reading, writing and maths, particularly in KS2. 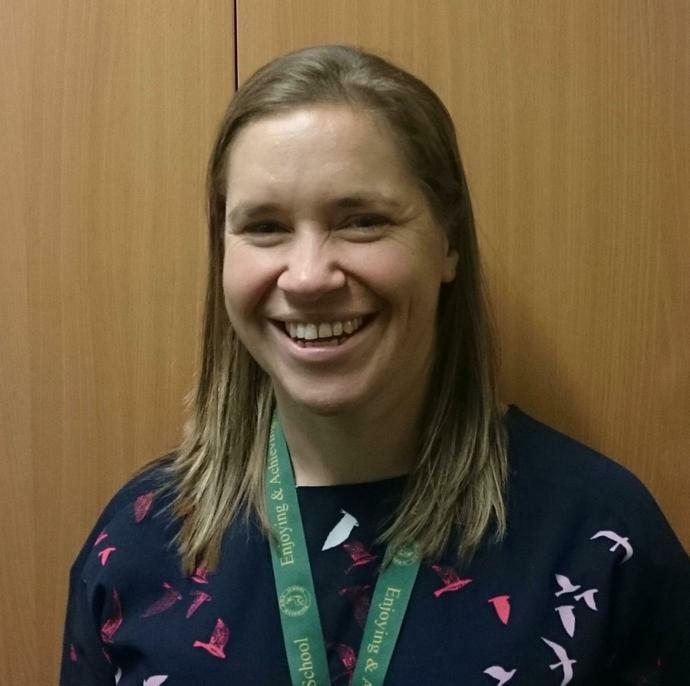 For the last 4 years Anna has played a pivotal role in the Senior Leadership Team at Highover School in Hitchin where her roles have included Subject Leader, Key Stage Leader and is currently the Assistant Headteacher. Anna has recently completed the National Professional Qualification in Senior Leadership during which her project worked on reducing gaps in attainment between different groups of learners and improving the efficiency and effectiveness of teaching, with particular focus on staff training, curriculum development, data analysis and partnerial working between school, parents, governors and outside agencies. One of Anna’s biggest drivers to be in education, is her ability and desire to bring out the best in people. She has extensive experience in leading and supporting staff at all levels and has worked in both her school and others, to develop best practice and leadership in others. Dan has worked at Round Diamond School for the past 6 years. He started as a sports coach and has developed to become a consistently outstanding PE teacher, obtaining high skills to teach across all key stages from Early Years to Key Stage 2. Alongside this experience, Dan also has a thorough understanding of the assessment and attainment for each key stage, developing his own assessment document which has been utilised in other schools across Stevenage. Dan has strived to achieve the Sports Mark each year he has taught at Round Diamond. He has successfully achieved the Gold Sports Mark for 4 consecutive years and is striving for Platinum this academic year. He has trained and upskilled apprentices, 2 of whom had been nominated for Apprentice of the Year with one being successful in achieving this award. Dan has a vast knowledge of progression in PE and is always thinking of new initiatives to further develop the children in which he teaches. He ensures his highly inclusive practise enables individuals to challenge themselves, regardless of ability or background. Dan strives for high quality teaching and his expectations in each lesson and other curricular activities reflect this. She has led ITT sessions on topics such as assessment, marking and feedback and Gifted and Talented provision. Nikki is passionate about giving all children an equal chance to access the curriculum by providing the best possible foundations for their learning in the Early Years and then continuing the Early Years principles throughout the school.